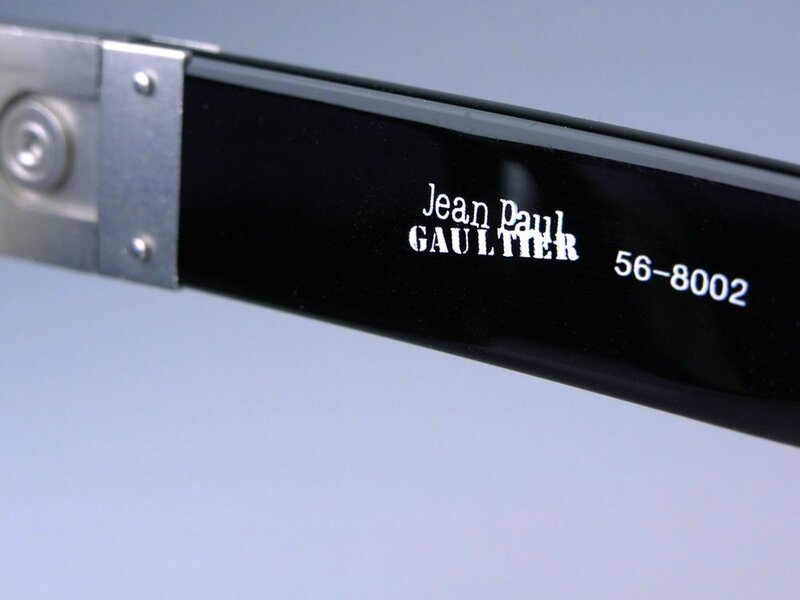 Jean Paul Gaultier 56-8002. This was NO famous till just now. Since today the model will rise to stardom for vintage shades maniacs all over the world. 2 pairs of detachable arms: big logos and non logos. 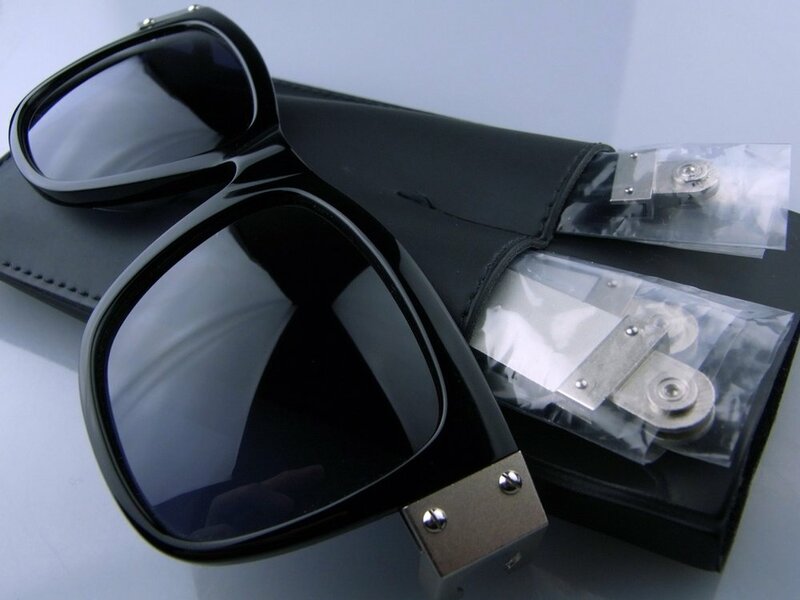 Thick and big Wayfarer style like Wayshiners of Lanvin in 2007. A perfect piece for both fashionistas and collectors..